A new defense review by the UK government estimates the cost of building four new ballistic missile submarines to be 31 billion pounds (about $45.5 billion), an increase of 17-20 billion pounds over the last formal government estimate of 11-14 billion pounds nearly a decade ago. The defense review also announced a new investment plan and deployment date for the new submarines. The United Kingdom currently possesses four Vanguard-class submarines armed with Trident missiles carrying a total of 120 nuclear warheads. (The submarines sometimes are also called Tridents.) The government is planning to replace these submarines with a fleet of four new ones. The 2015 cost estimate to build the submarines includes the effects of inflation over the 20 years it will take to acquire the boats. The review said the total cost to design the new submarine fleet would be an additional 3.9 billion pounds, a portion of which has already been spent. The review is also setting aside a “contingency” fund of 10 billion pounds, apparently to help address potential increases in the manufacturing cost of the submarines. The review did not include an estimate of the cost to operate the new boats over their expected lifetimes. Reuters reported last October that the cost to build and operate the fleet and its supporting infrastructure will reach 167 billion pounds, citing figures provided to Crispin Blunt, a Conservative member of Parliament, by the Ministry of Defence. The review did not detail what this new approach will look like. It also is unclear whether and, if so, when the Conservative Party, which strongly supports the replacement of the current submarines and currently holds a majority in Parliament, will seek a vote in Parliament in favor of the replacement program. According to the review, the first new submarine is slated to enter service in the early 2030s. Previous government statements had said the first new submarine would be in the water in 2028. The Obama administration appears to have decided to pursue a response to Russia’s alleged violation of the [INF] Treaty that goes beyond Washington’s specific concerns about treaty noncompliance. After reviewing a range of military options to respond to Russia’s alleged violation of the Intermediate-Range Nuclear Forces (INF) Treaty, the Obama administration appears to have decided to pursue a broader approach that goes beyond its specific concerns about Moscow’s noncompliance with the treaty. Russia denies that it is breaching the INF Treaty. The Russian Foreign Ministry said in a Dec. 1 statement that the allegations are “groundless” and the United States has “not provided any proof” that Russia is “allegedly producing and deploying” banned missiles. At a Senate Armed Services Committee hearing on Sept. 29, 2015, Deputy Defense Secretary Robert Work said the Obama administration was still in the midst of “negotiating” how to respond to the treaty breach but that if Russia fielded a noncompliant system, he would “expect” the United States to pursue one of the three categories of INF Treaty-focused options McKeon outlined. At the Dec. 1 hearing, however, McKeon did not mention these options. 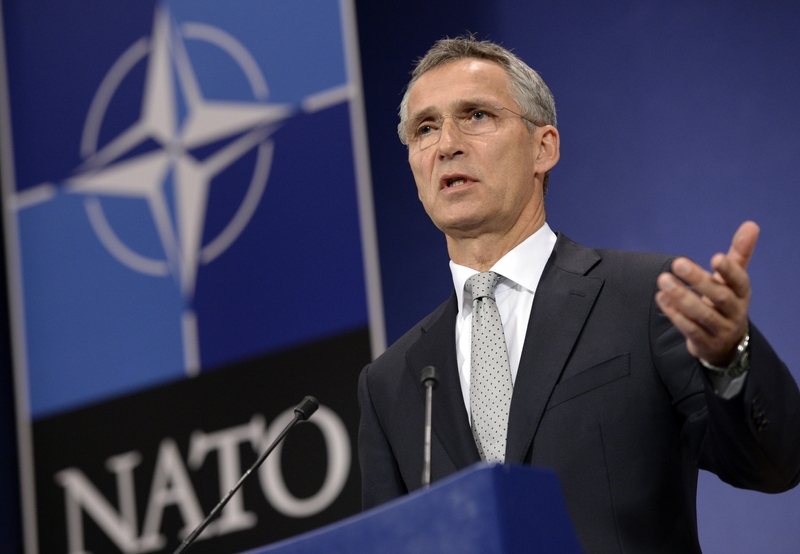 Instead, he listed a number of broader steps that the United States already is undertaking and plans to undertake to bolster the defense of Europe in the face of Russia’s actions in Ukraine, along with heightened nuclear saber rattling that has included more nuclear exercises. McKeon’s list included expanding bilateral and multilateral military exercises with European allies, positioning military equipment in central and eastern Europe, improving air defense systems in Europe, modernizing U.S. nuclear forces, and focusing on new threats to Europe, such as Russian cyberattacks. 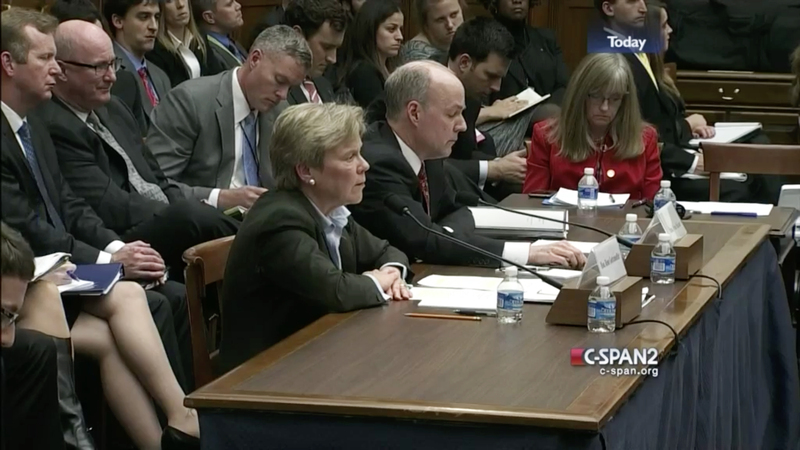 Rose Gottemoeller, undersecretary of state for arms control and international security, testified alongside McKeon at the Dec. 1 hearing and said the administration is “puzzled as to why” Russia thinks it needs a noncompliant GLCM since the targets in range of the new missile could be covered by Moscow’s strategic nuclear forces. Gottemoeller also noted that the Russians have been developing new air- and sea-launched cruise missiles, which are not prohibited by the INF Treaty. 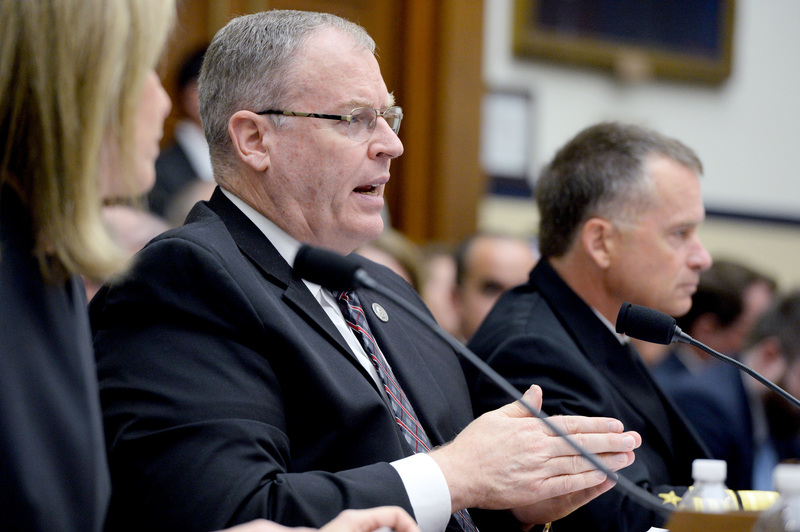 McKeon said the prohibited missile program would create new military threats to the United States and its allies, but did not elaborate, citing classification restrictions. Rep. Mike Rogers (R-Ala.), chairman of the House strategic forces subcommittee, expressed displeasure with the apparent change in the administration’s approach. 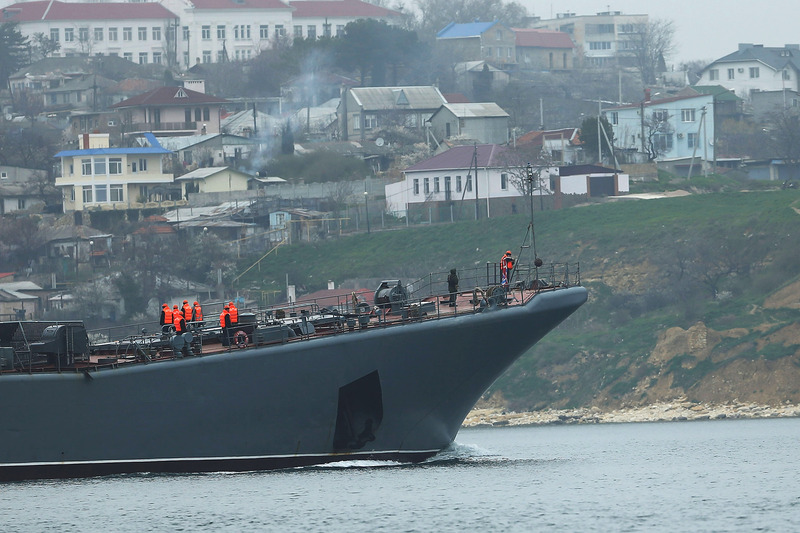 He said the specific response options prepared “a year ago for consideration are now going to…just blend in” to the broader response to other challenges posed by Russia. As a result, there will be “no action on the violation of the INF Treaty,” he said. McKeon said Russian officials would take notice of the broader military capabilities in which the United States is investing and “start to understand” that their treaty noncompliance “is not making them any more secure.” If Russia continues in its noncompliance, he said, “we can always assess whether to take other measures.” McKeon did not specify what those other measures might be or if they would come from the three response categories the administration had originally been considering. One European analyst said McKeon’s testimony marked a clear shift away from the administration’s previous focus on a response that was specific to the treaty and represents “a significant political decision.” In a Dec. 28 email to Arms Control Today, Jacek Durkalec, nonproliferation and arms control project manager at the Polish Institute of International Affairs, said the change is “understandable” because many of the options for U.S. responses “would be relevant for deterrence and defense” of NATO even if Russia returned to compliance, especially defense against different kinds of Russian cruise missile threats. 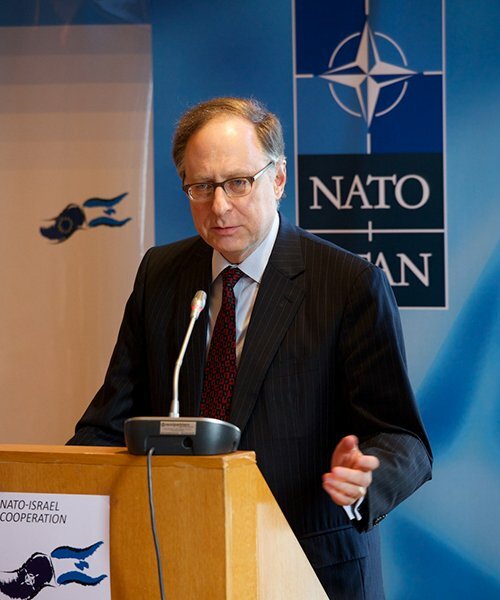 He added that the new framing of the response would also avoid the risk of contentious debate within NATO about how to respond to the violation. But he expressed concern that the lack of clear and specific response could call into question the resolve of the United States to respond to arms control violations. Furthermore, he said, Russia might now have little incentive to return to compliance with the INF Treaty because the overall U.S. efforts to strengthen the defense of Europe will be made irrespective of Russia’s compliance status. 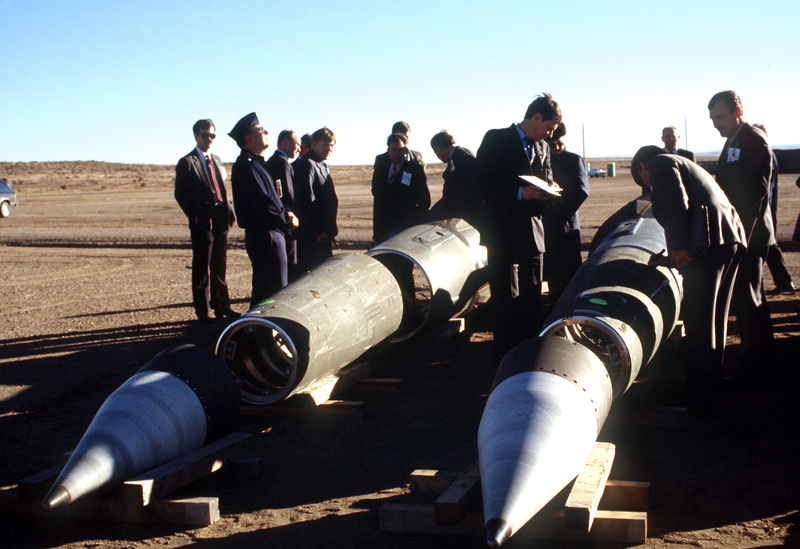 In a Dec. 23 interview, Steven Pifer, director of the Brookings Institution’s Arms Control and Non-Proliferation Initiative, said the approach described by McKeon did not necessarily reflect a shift in strategy and seemed to fit in the “countervailing” category of response options that McKeon first outlined in 2014. Pifer also said the approach gives the next administration the ability to pursue additional responses that are specific to the INF Treaty “down the road” if it so chooses. McKeon said the Defense Department will complete the report required by the bill. 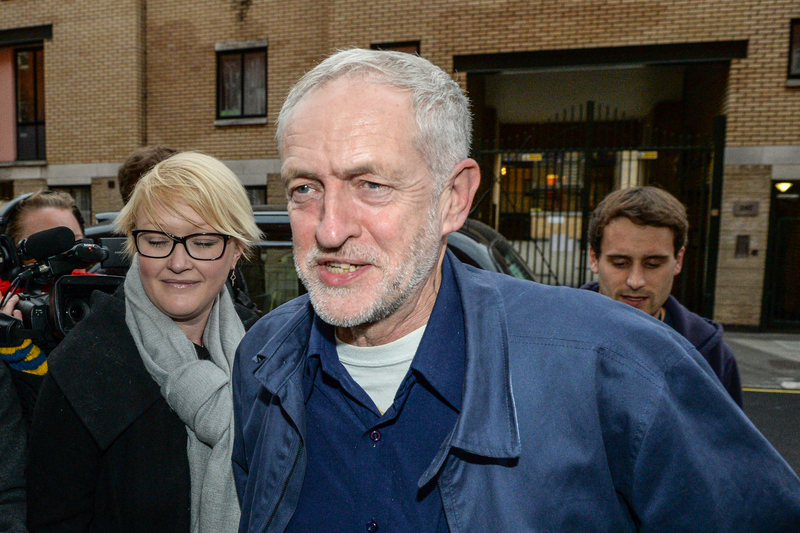 Ahead of a possible decision next year to proceed with the replacement of the United Kingdom’s submarine-based nuclear deterrent, the new leader of the country’s Labour Party said he would not authorize the use of nuclear weapons if he were prime minister. “We are not in the era of the Cold War anymore; it finished a long time ago,” Jeremy Corbyn told the BBC in a Sept. 30 interview. The UK currently possesses four Vanguard-class submarines armed with Trident missiles carrying a total of 120 nuclear warheads. (The submarines sometimes are also called Tridents.) The government is planning to replace these submarines with a fleet of four new ones. The first new Trident submarine is slated to enter service in 2028. Corbyn said he opposes replacing the Tridents. “There are many in the military that do not want Trident renewed because they see it as an obsolete thing they don’t need,” he said. In 2011, the government approved a five-year preparatory research and design phase for the new submarines. A final investment decision on the program, known as Main Gate, is scheduled for 2016. But it is unclear when exactly the decision will occur or whether the Conservative Party, which strongly supports the replacement of Trident and currently holds a majority in Parliament, will submit the decision to a vote. In 2006, the UK Ministry of Defence estimated the cost of designing and building the new submarines to be 15-20 billion pounds (about $23-31 billion). Reuters reported on Oct. 25 that the total cost to build and operate the new submarine fleet will reach 167 billion pounds, citing figures provided to Crispin Blunt, a Conservative member of Parliament, by the Ministry of Defence. Jon Thompson, the top civil servant at the ministry, told UK lawmakers on Oct. 14 that the Trident replacement plan is “the single biggest future financial risk” facing the UK defense budget. “The project is a monster,” he added. Russia remains in violation of the Intermediate-Range Nuclear Forces Treaty, according to a State Department report. The Royal Navy dismissed a seaman whose online allegations of safety breaches aboard the United Kingdom’s nuclear-armed submarines were rejected by the Ministry of Defence. The UK Navy has dishonorably discharged a sailor who posted an online indictment of safety issues aboard the country’s nuclear-armed submarines. McNeilly said fire and floods threaten the safety of the subs’ nuclear weapons, while lax security procedures could enable terrorists to attack. Bans on electronic gear, e-cigarettes, and shaving (to keep hair particles from circulating in the air) are not enforced, he said. After some members of parliament praised McNeilly in late May, Michael Fallon, the UK defense secretary, dismissed his claims as unwarranted. “Most of McNeilly’s concerns proved to be either factually incorrect or the result of mis- or partial understanding,” Fallon said in May 28 statement. “Some drew on historic, previously known events, none of which had compromised our deterrent capability,” he said. When appropriate to do so, “lessons had been learned to develop our procedures as part of a continuous improvement programme,” he said. On June 18, the day after the navy announcement, McNeilly posted a nine-page letter to supporters saying he had been dishonorably discharged. In his May 15 Web posting, McNeilly recounted what he called security lapses bred by the habits of daily routine and the indolence of some sailors. 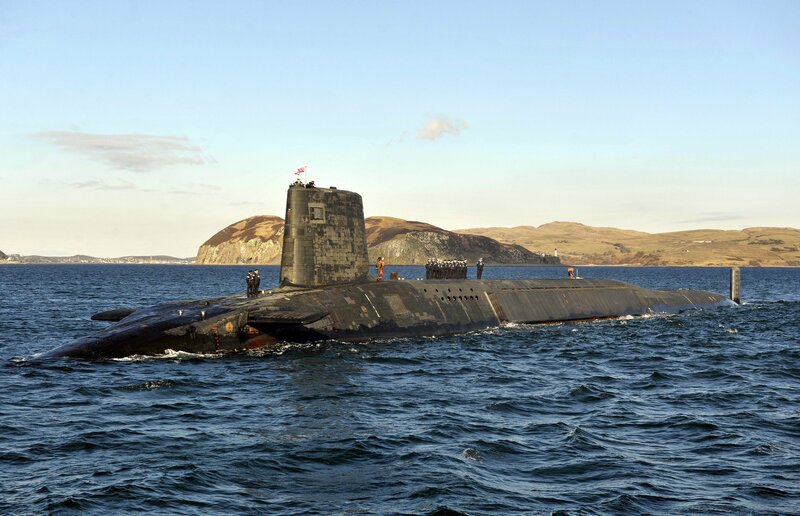 He also cited safety concerns about the maintenance of the submarines, particularly about the risk of fire or explosion near the Trident’s missiles in which nuclear warheads are located near one of the missile’s rocket motors. A new report by a 21-member commission consisting of experts from Germany, Russia, and the United States, “Strengthening Stability in Turbulent Times,” recommends several new arms control and confidence-building-measures to reverse the deterioration in Russia’s relations with U.S. and European governments.